A party is a great way to bring your employees together for the holidays, reward them for a recent accomplishment, or just build company morale. But what’s a party without an exciting theme? 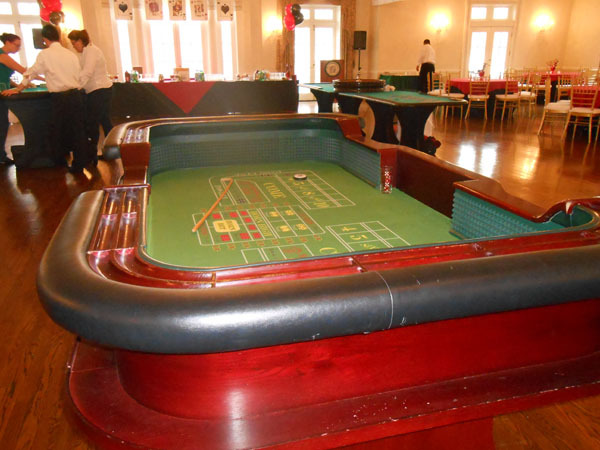 And what’s more exciting and high-stakes than a casino theme party? Here’s how to make your employees look forward to corporate gatherings again by planning the perfect event. First of all, the party should be fun without turning into an all-out war. To prevent the accounting department from getting into an ugly confrontation with human resources over the outcome of a blackjack game, real gambling should not be allowed. There’s no room to bond as a company when everyone’s playing for themselves. That’s why a casino party supply provider will offer funny money. At the end of the night, you can have everyone turn in their imitation winnings and offer simple prizes to those with the highest amounts. Whether you choose to offer rewards or not, the fake money lightens the mood and lets people feel the untethered exhilaration of Vegas. Second, choose your games wisely. You want to include enough options for people to mix up their experience, rotating without getting bored. At the same time, too many games may lead to people being isolated from each other when the goal was to create a sense of unity. 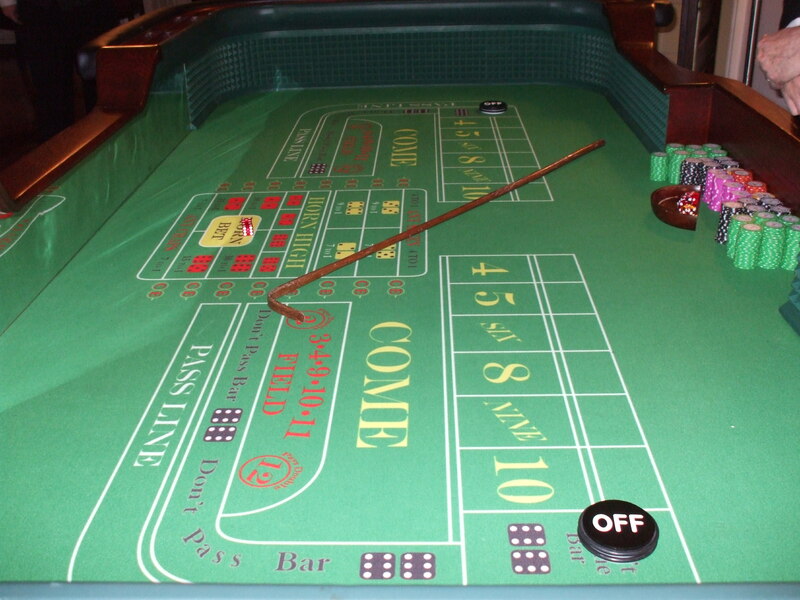 The perfect number will vary depending on the number of employees attending the casino theme party. 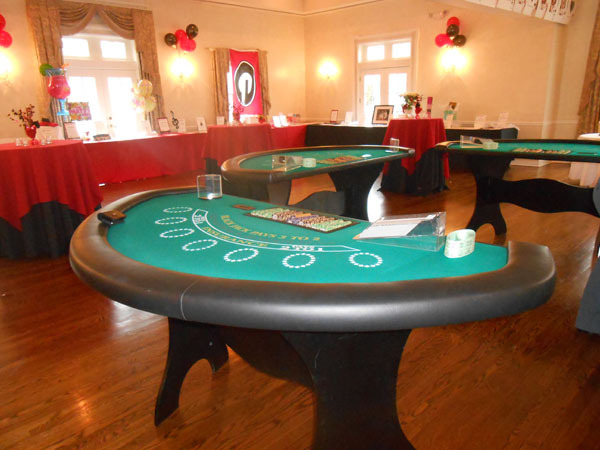 To get started, a blackjack table, craps table, and roulette wheel are great standbys to create the centerpiece of the night. 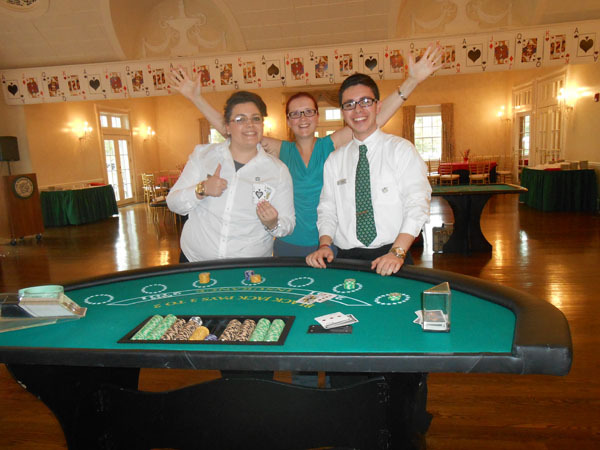 Individual games of Texas hold’em or poker can offer a challenge for experienced gamblers and allow like-minded employees to bond over their appreciation for the games. It may be wise to avoid slot machines at a company party, since these generally are individual activities, although it can be exciting to watch a group of employees gather around to root for a fellow worker. Finally, make sure everyone can be included in the fun. 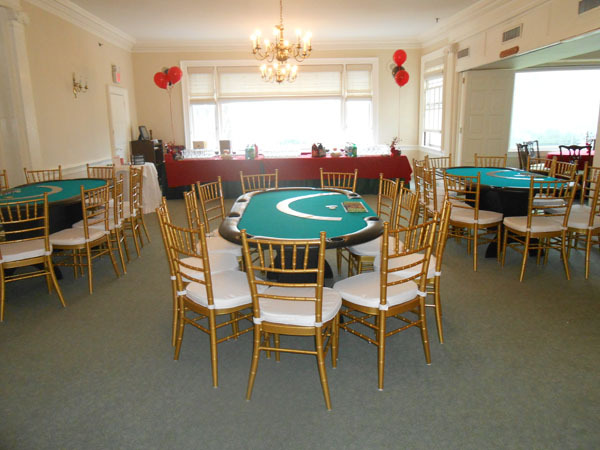 Choosing a party supplier that offers professional dealers is the perfect way to ensure that all your employees can participate in this night of wild abandon. Those familiar with the Las Vegas experience will appreciate the authenticity, and those who have never gambled in their lives will be grateful for the guidance and instruction offered by well-educated dealers. With the perfect splash of fun, bonding, and genuine Vegas flavor, your employees will be talking about this grand casino theme party for years to come. Plan your high-rolling party today and treat your company to a bash they’ll love.